Before we get started on reviewing the best network storage device on the market right now, we need to explain exactly what a NAS is. A network attached storage device is an external hard drive that connects to your network, rather than your PC. A network attached storage device is a compact, always-on device that is used to back up computers and files on your local network. A NAS is usually made up of at least one, but most commonly two hard-drive bays that use far less power than you might think. Unlike a standard USB drive or external hard drive, a NAS can provide data redundancy for that extra peace of mind, copying the content of your drive onto the other automatically. Through connecting to the network opposed to a single device, it means you can access your NAS and everything stored on it from any device. Some of the best devices on the market will allow you remote access to your files so you can open them from all four corners of the globe if necessary. So now you know the basics of what a NAS is for, do you really need one? Have a large media library or a high volume of files that need to be secured. If you have sensitive or high volumes of data that you’d prefer not to store in a Dropbox or similar online drive, then a NAS is the way forward for you. If you require extra data protection; A NAS is capable of protecting all of your data and backups from theft and natural disasters should they occur. If you want to share and stream media from anywhere in the world. 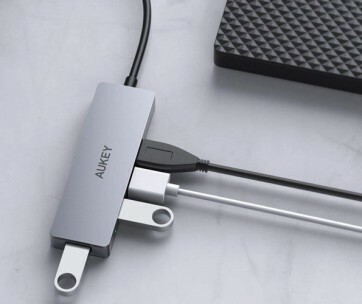 Of course, these devices don’t exactly come cheap, so it’s important you consider these points and our full review before you drop a couple of hundred dollars. The best NAS devices on the market today will also be platform-agnostic, this means that you can access them from any device, regardless of OS. We understand that all this tech talk can get a little confusing, so in this review, we’ll break it all down as we take a look at the key features of the best devices right now so that you can select the perfect choice for your home or office. This 1.3 GHz dual-core processor offers users both high performance and ultra-fast transfer speeds. The simple management system gives you 16TB of centralised storage for your entire network, so you can enjoy the peace of mind knowing that everything is stored in one safe place. With a My Cloud EX2, you’ll be able to automatically sync content across your devices, share files and folders and utilise multiple backup options so that you can create your very own personalised system with ease. Make sure you also check our guide to the best gaming routers. Synology DiskStation DS218+ dual-core processor with AES-NI encryption acceleration and transcoding engine provides users with high-speed file transports and real-time 4K transcoding in a click of a button. The high-speed sable storage server featured a powerful dual-core CPU, making it the perfect option for home users or small businesses in search of a compact and reliable shared storage solution that promises protection for critical assets and file sharing across a number of different platforms. Our guide to the best external hard drives offers more great products like this one. The Synology DS418 is your very own private cloud allowing you to easily maintain complete control over your data. Boosting a massive storage capacity, work productivity tools with enhanced collaboration features and robust backup solutions, this device is a solid option. The sinology DiskStation allows users to access files over the internet minus any complicated network settings so you can have your files to hand anywhere, any time. If that’s not enough, you can also download a mobile app so you can enjoy your multimedia library even when you’re on the go. It’s a big tick from us! 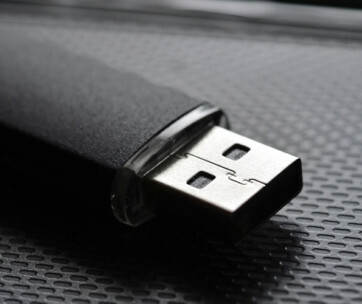 Be sure to also check out our list of the best USB flash drives for more great items like this. 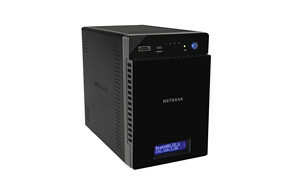 Introducing the Netgear Ready NAS offering breakthrough performance and easy to use technology to make secure storage a breeze. The 1.4 GHz quad-core processor boasts a choice of powerful platform for a range of media servers including iTunes and Plex so you can enjoy HD media streaming to multiple devices at a time. What more, this device offers full 1080p real-time streaming and transcoding to a remote device. If that’s not enough, you get all these key features whilst enjoying a near-zero performance loss when running anti-virus so that you can utilise 5 levels of data protection around the clock. Our handy guide to the best microSD cards features more great products like this. Buffalo’s TeraStation 1200 offers a compact, budget-friendly network storage solution that is perfectly suited to small businesses and home offices alike. With this device, you get access to the NovaBACKUP business essentials package including 10 free licenses for servers and time machine support. Make the most of real-time synchronous replication of your data from one NAS to another for easy and continuous data protection in virtually no time at all. With simple set up, free cloud access and easy to use features, this is a solid option to consider. Love this product? Check out our review of the best USB hubs for our top picks. 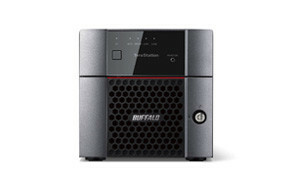 The Buffalo TeraStation TS3010 series is designed to offer small and medium-sized business high-end data protection at affordable prices so that no one has to compromise when it comes to protecting valuable files. This device offers a comprehensive approach to data backup and protection combining a reliable 24/7 operation with easy to use features that can be accessed from anywhere and anytime, allowing users to get serious about data when it really matters. Data protection couldn’t get much easier. 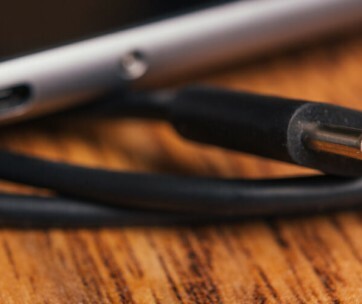 Find more great products like this by checking out our guide to the best USB C cables. The Promise Apollo cloud is personal cloud storage and sharing reinvented. This personal device allows users access to all of their protected content from anywhere in the world in just a few clicks of a button using the handy Apollo Cloud app. Thanks to this simple yet super secure software allow you to take control of your content, share content both privately and publicly and create albums based on facial recognition and location, storage has never been more straightforward! Don’t forget to also check our guide to the best smart plugs. When it comes to selecting the best Network Attached Storage devices on offer right now, there were a number of features that we have taken into consideration that go beyond just the technical capabilities of these handy data protecting devices. Of course, first and foremost as with all technology, performance is key. But we’ve also taken pricing, brand, reviews, ease of setting up and use and storage capacity into consideration to compile our list of top picks on the market right now. Many of the NAS devices featured in our review come with hard drives already installed, making it easier to get them up and running. Of course, with a built-in hard drive, you need to consider how much storage space you’ll need, because in an ideal world, once you’ve invested in a NAS you won’t be buying another for a long time! If a built-in hard drive isn’t the way you want to go, you can find options without, this gives you a little more flexibility when it comes to storage space and speed, it can often save you some extra dollar too! So, once we’d narrowed down our search based on overall performance, brand, price points and storage capacity, as always, we took a look at reviews. As you know, reviews are important for us to create an unbiased guide so that our readers can get the very best product for their money. You can rest assured that we have explored every avenue when it comes to the best network storage device on offer right now so that you can save both time and cash! If one of our top picks isn’t quite right for you or you’d prefer to do a little extra research yourself, we’ve defined the key features you need to look for and consider when it comes to buying your Network storage device. 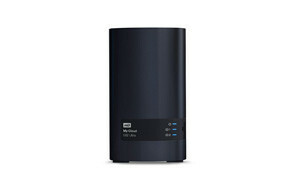 Drives - The number of drives on a NAS device can vary from one anywhere up to 16. Essentially, the greater your storage needs, the more drive bays you will want in a NAS. For home usage, two to five is usually plenty. A two-bay NAS is a more affordable option and one that can be upgraded at a later date by replacing drives with higher TB drives. For example, your original drives might be 2 TB but you could swap them for 4 TB. If you have a more flexible budget, we recommend opting for a NAS with four or five drive bays, which should guarantee sufficient capacity. Connectivity - If you already use cloud-based data storage, you might want to go for a NAS device that has cloud service connectivity, for the best of both worlds. This will give you access to your files in services like Google Drive, DropBox and OneBox even when you have no internet access. Modes - One storage configuration mode NAS devices support is JBOD (short for ‘just a bunch of disks’), which works by combining several physical disks into a single logical drive. The disks can be all different sizes and data is written sequentially across them, without data redundancy. Alternatively, there are RAID, shorthand for Redundant Array of Inexpensive Disks, levels. Different RAID levels affect performance and the number of disks that can fail without data loss. RAID5 or higher is the standard for three or more drives, which are sophisticated but also pricey. RAID1 is standard for two drives, which works by mirroring and uses more space but is cheaper. Storage - Before you make choices about the number of drive bays and storage configurations you need, you have to work out your storage requirements. Try to calculate your average usage and how quickly you would fill up drive space. If you are a videographer, for instance, regularly saving high definition video to your network, you are going to need greater storage capacity to accommodate this. Back up and data redundancy measures - One of the most important features to look for in a NAS device is back up and data redundancy measures. You want to be sure your files are well protected. As we have mentioned above, research RAID levels and decide if you want a mirroring setup or something more complex that does not compromise on storage usage. Another tip is to pick a NAS device that allows you to also backup data onto an external hard drive, for the maximum protection possible. While not real-time protection like RAID, backup onto external drives is going to keep your files safe in cases of theft, device failure or any similar threats that result in complete data loss. Media-streaming capabilities - A NAS device is a great choice for storing and streaming your media, such as music, videos and photos. It is quicker than backing up to cloud-based storage but even better, you can choose a model that will sync with the likes of DropBox to add even greater protection to your media collection. If media streaming is an important feature for you, make sure you choose a NAS that has speedy data delivery as this will be what determines streaming performance. Now, we know there are a whole lot of features to consider when it comes to a NAS, and it can become a little overwhelming, but it’s also worth being aware that there are in fact two different types of devices to take your pick from. Pre-Populated - For first time buyers, a pre-populated NAS device is a safe bet. They often work out cheaper, as you get the drives without the hike up in retail price that comes with buying them separately. Most importantly, they are the hassle-free in comparison to diskless NAS devices. The downside is that if a disk needs replacing, it will probably need to go back to the manufacturer for two main reasons. One, they are tricky for users to open at home and two, a pre-populated NAS cannot initialise a replacement drive on their own anyway. If this is covered by your warranty, it might not be too much of an issue for you. Diskless - You should only buy a diskless NAS device if you are fully prepared to source hard drives, assemble and prepare RAID configurations yourself. The upside is that faulty parts are easier to replace, and diskless devices do tend to come with more premium features. So, if you have a really sound knowledge of NAS already and want a high performing device, it might be worth the investment. Although there’s a lot to think about during the search for the best network storage device for you, you’ll be glad to know that once you’ve made your purchase, these handy devices are actually relatively straightforward to use! If you’re looking for a long-lasting, ultra-secure storage device, it’s well worth investing the money into one of the options featured in our review. With features like extra security systems, media streaming capabilities and access from all over the globe, sharing and storing files securely has never been easier! Whether it’s for your home or office, we think that a NAS is a solid investment when it comes to data protection and enjoying the peace of mind that all of your most important files are totally safe and secure.